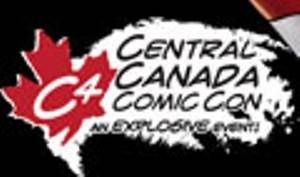 The C4 claims to be Canada’s second largest convention of its genre after Fan Expo Canada in August. This show began to grow in 1994 as the Manitoba Collector’s Expo. As times changed, so did the event, and in 2000 it became the Manitoba Toy & Comic Expo, dropping the antiques and reducing the sportscards. In 2006, the show became known as the Manitoba Comic Con. In 2008 it moved to the Winnipeg Convention Centre and in 2009 the event was renamed the Central Canada Comic-Con. Comic Guests: Andrew Wildman, Alex Milne, Norm Breyfogle, Scott Kolins, Marcio Takara, Tommy Castillo, Sue Dawe, Marvin Mariano, J. Torres, Yanick Paquette, Dave McCaig, Lovern Kindzierski, Chris Chuckery, Dirk Strangley, Echo Cherniak, Kim Brennan, Adam Foidart, Anthony Hary, Amul Kumar, Samantha Christiansen, Ian Sokoliwski, Robert Pasternak & many more!